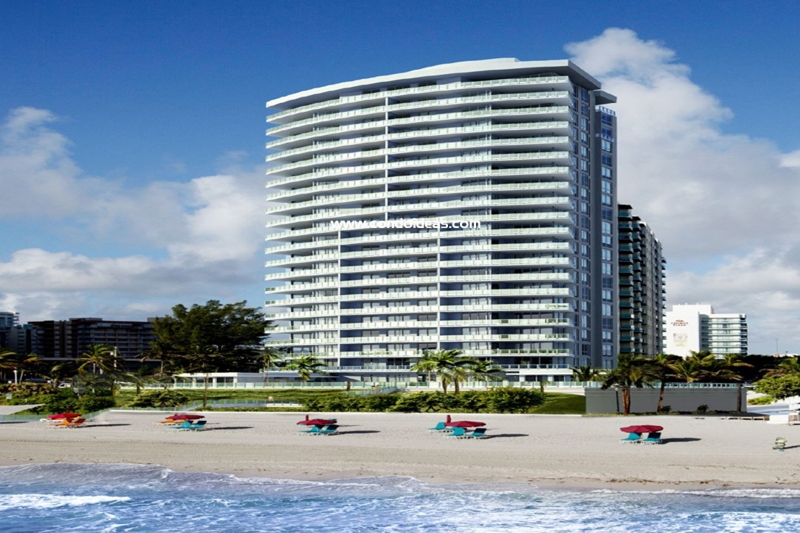 A boutique luxury condominium is rising on 240 feet of pristine seaside in Hollywood, Florida. The Apogee Beach Hollywood on South Surf Road will feature a mere 49 residences on 22 floors for buyers to enjoy their own spectacular ocean view and unique access to superlative luxury condominium amenities. The Related Group has enlisted the renowned architect Carlos Ott – known for his innovative designs from Jade Beach in Miami to China’s Shanghai Theater. Ott has set the tone for this glass-clad jewel to which are added the design sensibilities of Cohen Freedman Encinosa and New York-based David Rockwell of the Rockwell Group. 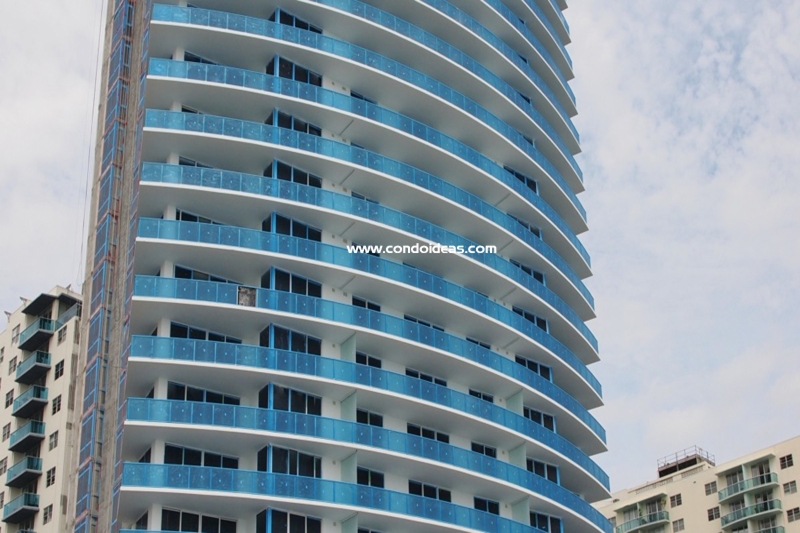 The result is a sleek, sparkling and yet intimate environment featuring state-of-the-art condominium amenities. Take the pool with its sun terrace and elegant clubhouse overlooking the landscaped deck. 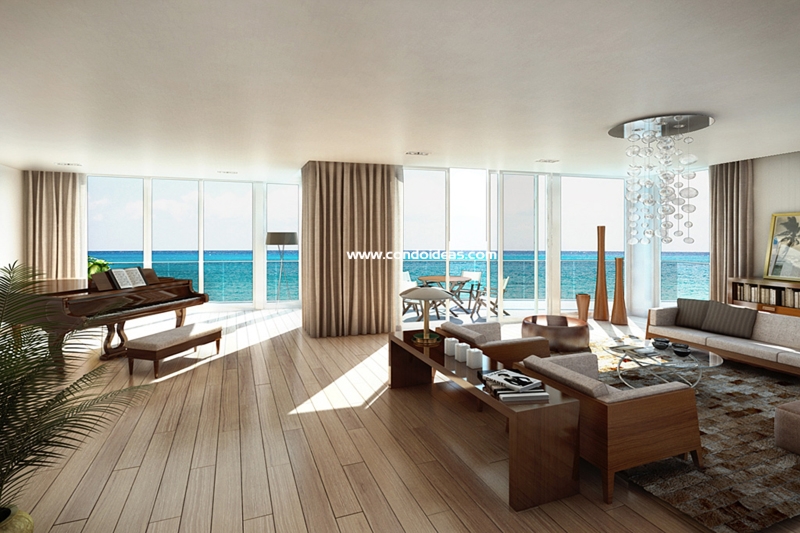 Private cabanas will offer unobstructed ocean vistas. Your fitness needs will be met in the fully-equipped cardio theatre and fitness center. Or, take in a film in the development’s own state-of-the-art movie theatre. The glass-walled lobby entrance with controlled access will be attended round the clock. Valet parking will be available to and from the secured parking garage. Private elevator foyers will offer entrance to spacious living quarters with 9- to 12-foot ceilings. Impact-resistant floor-to-ceiling glass walls and sliding glass doors will lead to expansive private terraces. All units will be pre-wired for Wi-Fi and the latest cable communications. Each residence will have access to the complex’s varied amenities through a wireless Smart Screen tablet. 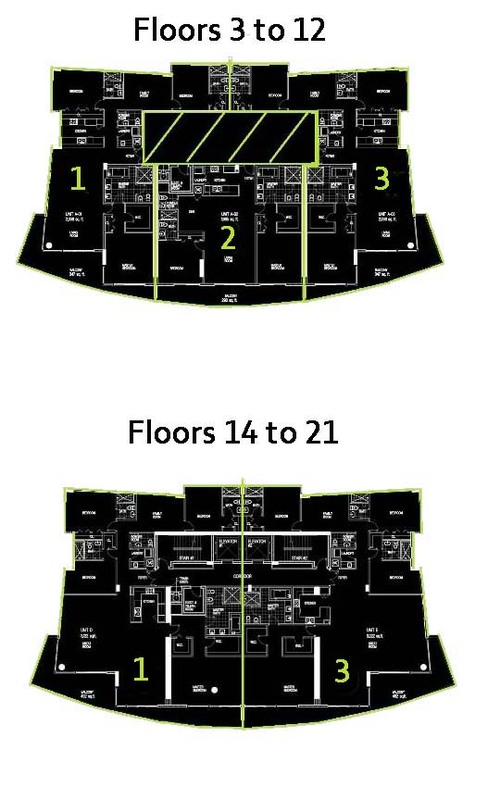 Units will range from 1665 to 4823 square feet in 2, 3 or 4-bedroom floor plans. European-styled cabinetry in the gourmet kitchens will be complemented with imported granite countertops and a built-in breakfast bar. The stainless steel appliance package will features top-of-the-line products. Baths will be equipped with European style cabinetry with imported marble counter tops, full-size vanity mirrors and imported Italian porcelain tiles on floors and wet walls. All units feature spacious walk-in closets. 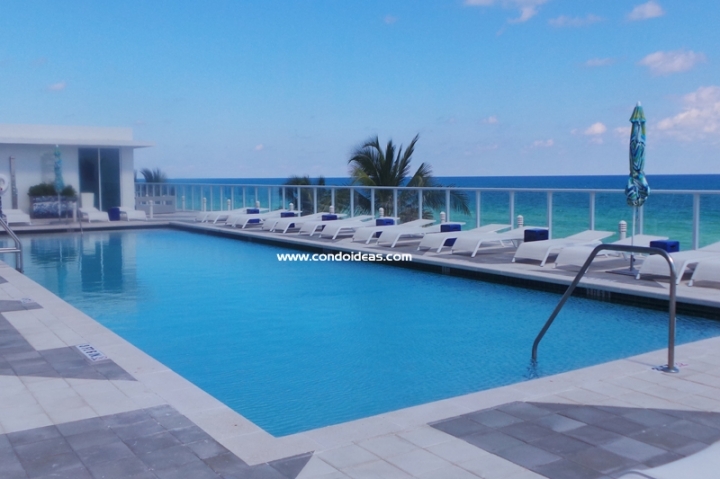 Hollywood Florida affords easy access to Fort Lauderdale and North Miami and the rich cultural and recreational offerings of Miami itself, one of the world’s great cosmopolitan oases. Why not make your residence in this tropical haven a cutting-edge, creatively designed, intimately conceived boutique experience? Try Apogee Beach Hollywood. Have a look at Sage Beach now!